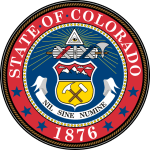 Details of the paying parent have to be represented to the division of child support services of Colorado. This is done to assess the case closely and determine if the noncustodial parent has a responsibility to provide child support. As the guardian, you have to apply for the child support services. You can also do this if the parent has defaulted from paying for child support. Step 2: Fill in with details of the custodial parent, the paying parent and children details. Step 3: Provide the status of the relation between parents and medical insurance of the child. Step 4: Fill in the income and expense affidavit and then sign and send to your local office at the addresses as shown below.